The treatment of benign prostatic hypertrophy (BPH), prostatic hyperplasia, prostatitis or inflammation of the prostate, involves using supplements, plants and foods that help to complete the conventional treatment of these diseases. This type of assistance should apply only in mild and moderate diagnosed cases and in accordance with the consent of the medical cases. The existence of symptoms that may assume more serious prostate diseases require immediate medical attention. – Vitamin E: Vitamin E, among other properties, in addition to antiinflammatory properties, is well suited to prevent inflammation of the prostate. It also has antitumor properties capable of inhibiting the growth of cancer cells, especially breast, colon and prostate cancers. As vitamin E supplement, the use of natural foods such as wheat germ oil it is recommended. 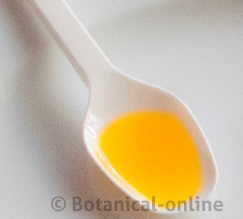 One tablespoon of this oil provides 190 IU of vitamin E.
– Vitamin C: Because of its antioxidant and anti-cancer properties, vitamin C is necessary to improve the overall health of the body and may help in case of prostate cancer. It can be obtained from citrus fruits, raw peppers, radishes, salads, cabbage, or supplements. – Brazil nuts: They are a natural selenium supplement. This mineral has antioxidant properties and stimulates natural death (apoptosis) of cancer cells. In epidemiological studies, selenium has reduced mortality from prostate cancer. Only 2-3 Brazil nuts should be consumed daily to get enough of them. Do not abuse this food. It improves its effectiveness in combination with vitamin E (vegetable oils used daily on the 1st cold pressing). – Homemade tomato sauce: Consumption of tomato sauce is associated with a lower risk of developing this cancer, because cooked tomato is rich in lycopene. 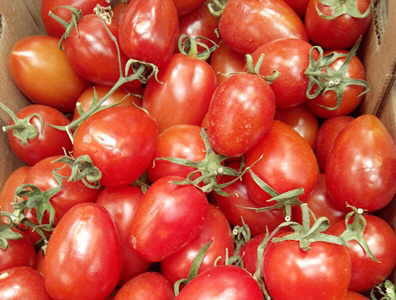 Lycopene inhibits containing tumor cell growth and is able to prevent benign prostatic hyperplasia. This flavonoid also abounds in other vegetables like red peppers. – Vegetables of the cabbage family: Eat cabbage, broccoli, cauliflower, arugula, radishes, turnips, etc. The regular consumption of these vegetables reduces the incidence of prostate, breast and colon cancer because of their fiber content, antioxidants and active ingredients glucosinolates. – Garlic against prostate cancer: Garlic has antioxidant, antiseptic and circulatory properties. To release its active ingredients, garlic must be crushed raw, unsalted, and added raw to soups or any dishes. In a study of more than 100,000 people, it was observed that the daily intake of 10gr garlic (2-3 daily garlic) reduced the risk of prostate cancer, although it should be more study on this. 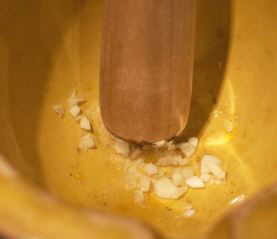 A very healthy preparation with garlig is “ajoaceite”, a homemade sauce. Photo of garlic in a mortar. The medicinal principles are formed by crushing raw garlic. – Green tea: Green tea consumption is associated with a lower risk of prostate cancer. Green tea is rich in one of the types of catechins with more powerful antioxidant effects, epigallocatechin gallate. For its properties, you should choose a good quality green tea, rich in this component. 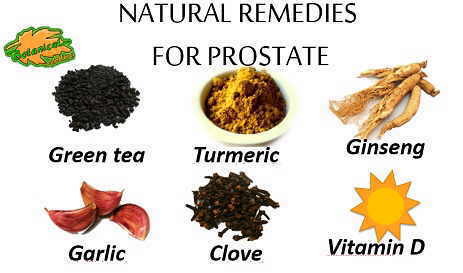 More information on the natural treatment of the diseases of the prostate.